I was a volunteer in the Himalayas in 2010. I took part in a cultural heritage preservation, architectural reconstruction, education and sustainable development project of Csoma's Room Foundation in the Himalayas region, India. The next summer (2011) I was the education project leader; we taught English, math, geography, etc. for children aged 3-16 in the public elementary school in Zangla. Adapting to the local characteristics, we held various creativity and skill development practices. This area is very poor - typically two children need to share on a single pencil – so we used everything that we found, and we created some simple games. At the end of the course I had a game-idea for these Tibetan children. I came back to Hungary and I started to develop a board game. 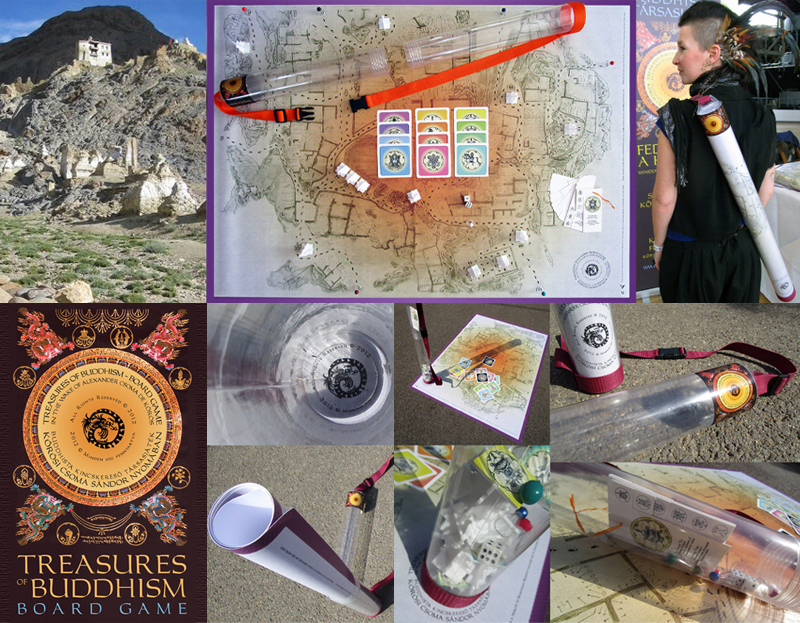 I researched traditional Tibetan methods and different games. Many people supported the game development - friends, family, students of the Dalai Lama, practicing Buddhists, teachers and children. After one-year development, tests and graphic design - in 2012 was the first version of the game was ready. In September 2012, the children played the game for the first time in India. In recent years – to everyone's delight – at many times, and in many different countries and places we played this game. Finally, in 2015 I made a new design kit with GreenPrints in a lightweight, waterproof, portable case.